who writes Hello. 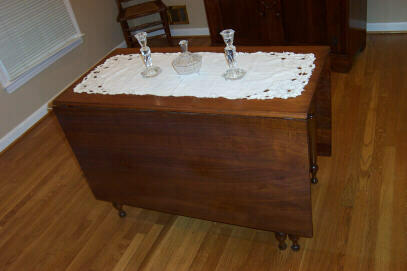 I recently inherited a Consider H. Willett Inc. open buffett top and base with a Consider H. Willett Inc. 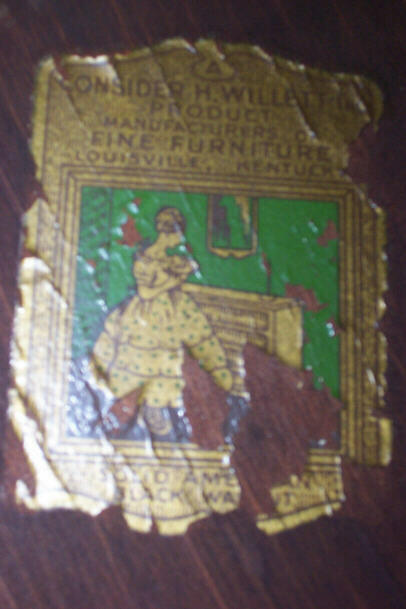 Solid American Black Walnut sticker on the top back and in a drawer of the base. 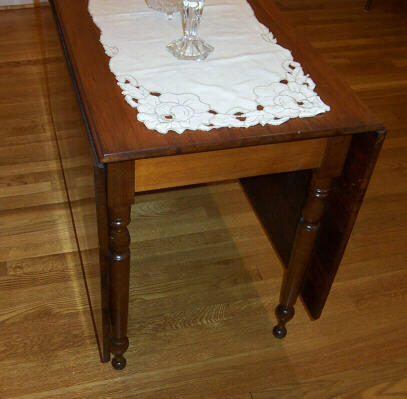 Also a drop leaf table with no sticker or identification but identical to the cherry and maple pieces to which you refer. I was hoping you would be so kind as to point me in the right direction to learn more. These pieces are priceless to me and I would never consider selling as they were owned by my beloved grandmother as gifts from my grandfather. Here are the photos. 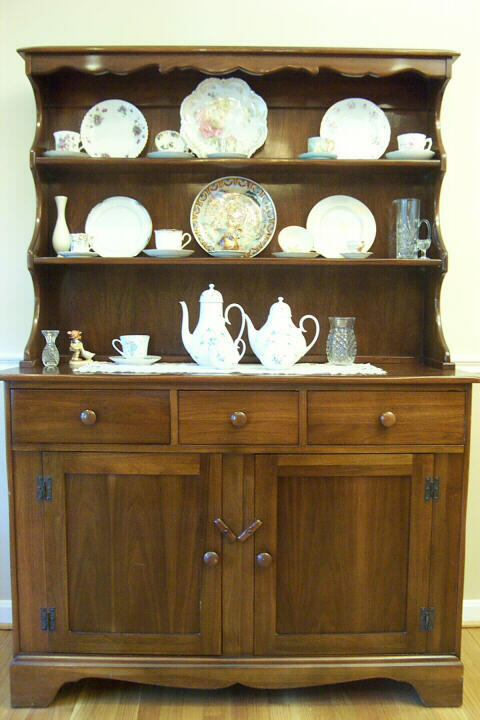 The design of the hutch seems closer to the maple designs that the cherry designs, with wood knobs rather than brass handles.